Knowing sympathy card etiquette makes writing a card easier. 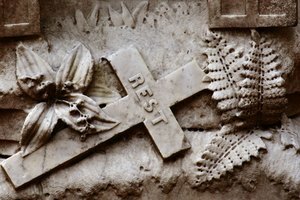 Writing a sympathy message to someone who has lost his or her mother can be challenging. You might feel as if you don't know what to say or worry that you'll say the wrong thing. 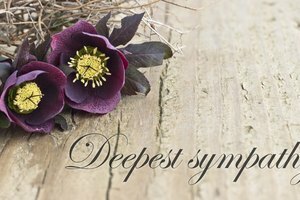 To make it a little easier, keep in mind some basic sympathy card etiquette. Be brief, express your sadness at the person's passing and stay away from phrases that aren't helpful, such as "It was her time to go." The bereft will appreciate your sentiments. Keep your message short. 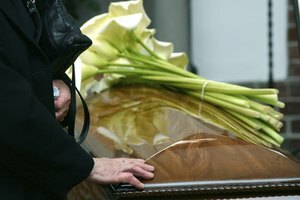 Let the bereaved know how much you cared about the deceased if you knew her well. You could write, "Your mom had a fantastic sense of humor. I will miss her." Include your first and last name when you sign the card. This will avoid any confusion if other family or friends have the same first name. Never write messages such as "It was God's will and her time to go," "Time heals all wounds" or "Everything happens for a purpose." These are not helpful. Your card should console the person, not make him angry. "My deepest sympathy at the passing of your mother. I knew her well and will miss her compassionate spirit. You and your family are in my thoughts." "Your mother was a wonderful person who will be missed by many. I am so sorry for your loss." "Please accept my condolences for the loss of your mother. Let me know if there is anything I can do to help." "The world has lost a beautiful and caring person. No one knows this more than you. My deepest sympathies are with you and your family." "My heartfelt sympathy for you and your family at the passing of your mother." Walker, Deborah. "How to Sign a Sympathy Card to Someone Who Has Lost His Mother." Synonym, https://classroom.synonym.com/how-to-sign-a-sympathy-card-to-someone-who-has-lost-his-mother-12083324.html. 29 September 2017.